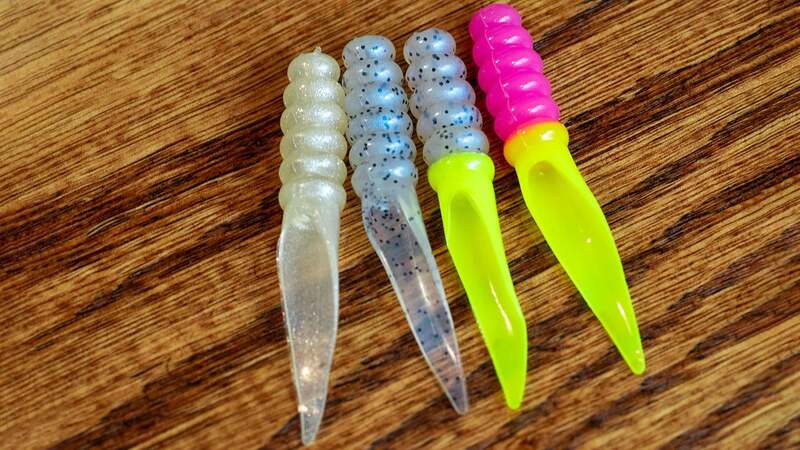 A good crappie fishing plastic for vertical jigging, fishing around cover as well as casting and skipping. 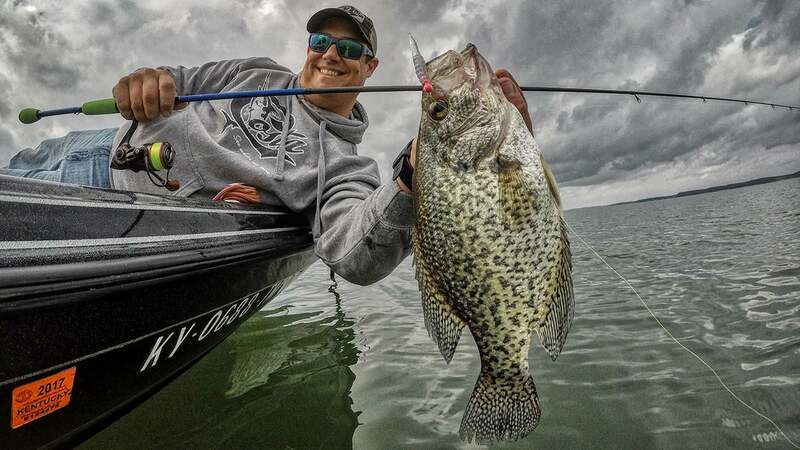 The Strike King Mr. Crappie Slab Slanger was designed by Wally Marshal, aka Mr. Crappie for a variety of crappie fishing situations. It features a solid ribbed body to hold on a jighead really well. Then a cupped tail gives the bait a pocket that you can put scent pellets like Crappie Nibbles into if you want to add scent. The pocket, however, serves a larger purpose of giving the tail more action. 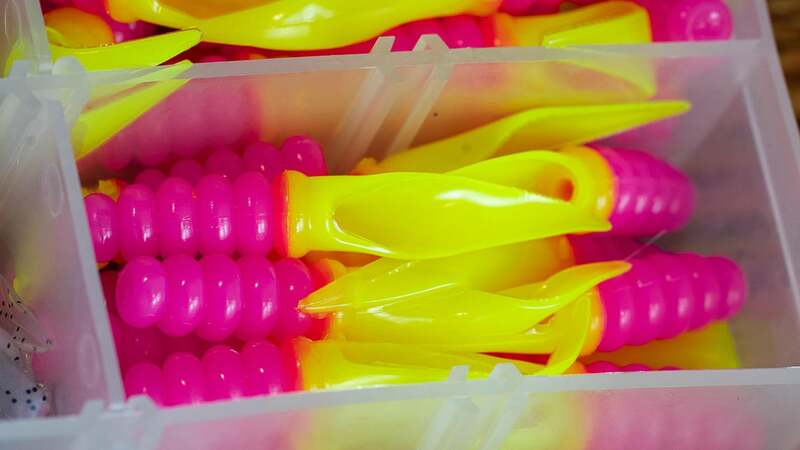 It also makes this a great casting and skipping bait on light line. Probably my favorite thing about this bait is how well they hold up. I have caught dozens of crappie on these baits and you can catch a bunch of fish on one bait before it starts tearing up. The Slab Slanger comes in 10 colors but I've found my four favorites to be Shiny Hiney, Glimmer Blue, Monkey Shine and HotChicken.com. I keep colors pretty simple with my crappie fishing. So a couple natural and a couple contrasting colors is usually all I need. These colors don't bleed and they show up really well in the water. I've caught crappie as deep as 25 feet and as shallow as 2 feet on them. I've vertical fished them, cast to brush piles, skipped under docks, tightlined and more with the Slab Slanger. It's a very versatile bait. Pull one out and hold it in your hand and just your natural shaking keeps that tail moving non stop. It's the same way in the water. I have had a lot of success casting these jigs even though most people think it does nothing when you reel it. The thinness of this tail having coupled with that pocket forces the Slab Slanger to flutter all the time. 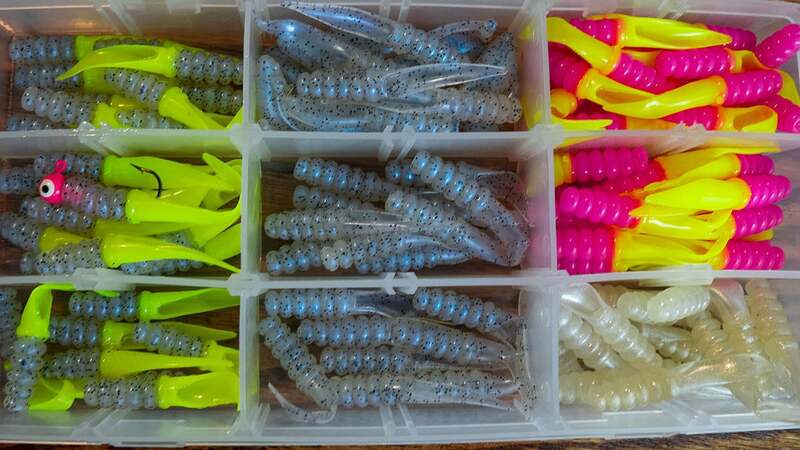 You can pick up a handful of packs in a few different colors and be set for a lot of crappie fishing this winter and spring. I keep mine in a small Plano box and it's always in my boat even when I'm bass fishing in case I stumble onto a wad of crappie. You can pick the Strike King Mr. Crappie Slab Slanger up at FishUSA.com as well as other retailers that carry Mr. Crappie plastics. I have caught so many crappie on the Slab Slangers the last couple of years. 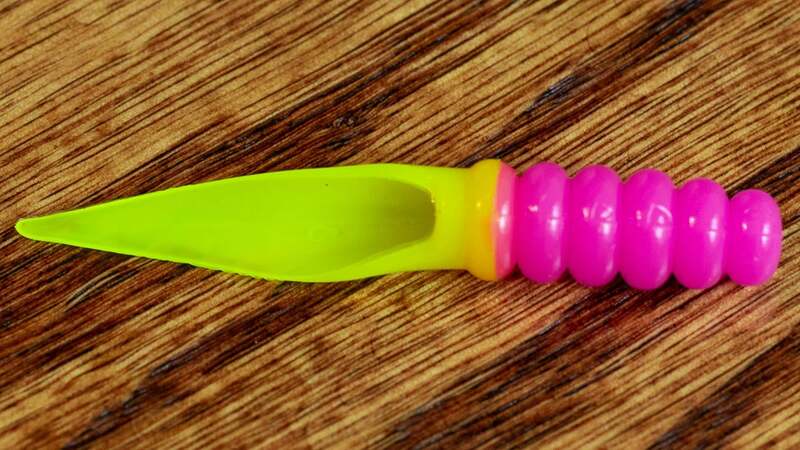 I pretty much have this or a stinger tail type plastic on my rods all the time.